Need something different? We do bespoke courses for just about any sector. 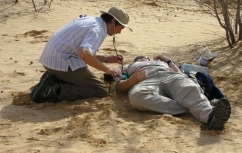 Training Expertise are outdoor first aid, expedition and wilderness first aid experts. Remote first aid is a crucial life-saving skill. It is particularly important that people are confident and skilled in outdoor first aid when working or playing in remote locations where help can take time to arrive. We believe that the best way to gain these skills is through hands-on, practical outdoor first aid training, which is enjoyable and leaves people with the knowledge and confidence to know what to do in an emergency. We always adapt our remote first aid training to meet the exact needs of our clients. Our trainers are experts in a range of fields and environments, which allows us to tailor courses to your needs. Their experience applying outdoor first aid skills and working as wilderness medics or outdoor trainers allows them to make the training relevant to all situations from an office in London, teaching outdoor activities at a school, weekends climbing in the Lakes, adventurous expeditions or for staff teams working in the world's most remote environments - we can run courses focused on your needs. Our courses are certified on the Remote Emergency Care scheme. All REC courses are designed to give you the confidence that everything we teach is quality assured, regulated and benefits from the latest thinking both in remote first aid and teaching techniques. 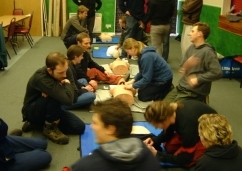 The modular and progressive program of REC courses takes you from the basics of CPR, accident procedures and minor bleeds on our hse first aid at work and emergency first aid at work courses for the workplace through to dealing with broken bones and falls on outdoor first aid training and culminating in our remote, expedition first aid and wilderness first responder courses. We're always happy to talk through your specific needs to help you find the right course for you - so don't hesitate to get in touch for a chat.